Stanley D. Longhofer holds the Stephen L. Clark Chair of Real Estate and Finance in the Barton School of Business at Wichita State University and is the founding director of the Center for Real Estate. In this role, Dr. Longhofer provides research services and educational programs to real estate professionals throughout the region, and is the author of the Center’s annual Kansas Housing Markets Forecast. 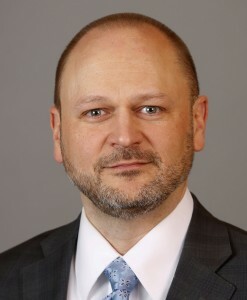 His insights regarding real estate market conditions are widely quoted in local and national media outlets, including the Economist, Forbes, USA Today, and the Christian Science Monitor, and he has been featured as an op-ed columnist in the Washington Post and the Wall Street Journal’s online edition. Dr. Longhofer’s research has been published in a number of leading academic journals. In addition, he has written numerous popular articles on real estate and financial markets that have appeared in publications such as Investor’s Business Daily, the Cato Institute’s Regulation magazine, and Commercial Investment Real Estate. Prior to coming to Wichita State, Dr. Longhofer was a financial economist with the Federal Reserve Bank of Cleveland researching problems in mortgage discrimination, financial contracting, and bankruptcy. While there, he also served as a founding member of the Federal Reserve System’s Fair Lending Advisory Group, consulting with bank examiners on fair-lending issues and developing statistical techniques to uncover mortgage discrimination. Dr. Longhofer earned his M.S. and Ph.D. degrees in economics from the University of Illinois, and holds a B.B.A. from Wichita State.